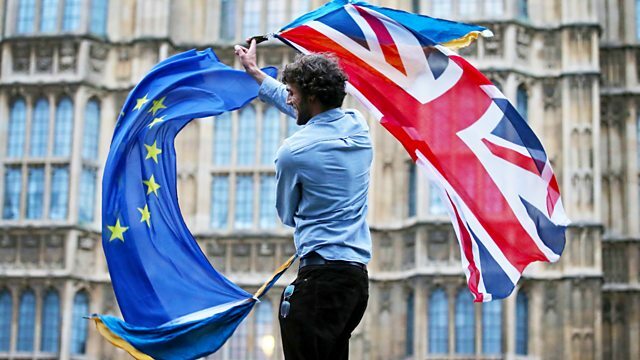 Young people from both sides of the border that separates Northern Ireland and the Republic of Ireland discuss what Brexit will mean for their lives. Audrey Carville chairs a live debate from The Nerve Centre, a music and arts venue in the border city of Derry/Londonderry. Featuring Brian McDermott, a chef and hotelier from Donegal; Larry Rodgers, a dairy farmer from Co. Tyrone; Pearl Natasha Doherty, a musician from Derry; and BBC Northern Ireland's Business and Economics Editor, John Campbell.